Effol Hoof Oil contains thymol, which has antiseptic properties & soothes damaged hooves. It also contains laurel oil & lanolin, which encourages increased elasticity in the horn of the hoof. 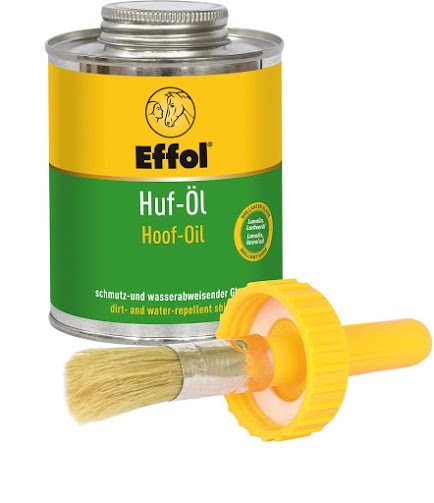 Effol Hoof Oil comes in a number of different sizes: a 475ml tin, that comes with a applicator brush included; a 500ml refill bottle or a 5 litre refill bottle. Please note that the 5 litre refill bottle has a longer delivery time than eVet's usual 2-5 working days.